This is a collection of cool and convenient gadgets for cyclists who ride for fun. People cycle for many reasons. There are those who cycle to keep fit, those who cycle professionally and those who cycle just for fun. Cyclists that ride to commute to work or other places are common also. You might cycle for one of these reasons or you might not cycle for any of these reasons. Some cyclists fit into one of these categories and others fit into several. No matter what type of cyclist you are it is important to have the right equipment. This list is for people who cycle for fun but some of these gadgets are a great idea for other types of cyclists as well. Exploring on your bicycle is a lot of fun unless you get lost. This navigation system will allow you to check out new places without being concerned about that. The display is very easy to understand and the device is easy to use even if you are not tech savvy. This is a great navigation system but it also performs other useful tasks. There is a built-in clock, a timer, a speedometer, and an odometer. The battery life is approximately 30 hours which provides plenty of time for you to explore. It is durable, shockproof and waterproof. If you are a cyclist that rides for fun then this simple gadget is a fantastic idea for you. 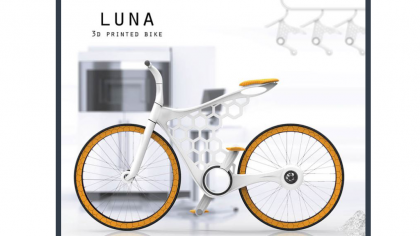 It can turn any bicycle into an electric bicycle. All you have to do is replace your wheel with the electron wheel. Any hill or incline is easy to tackle with the electron wheel in place. This is a pedal assist wheel that makes even steep hills seem like a casual ride in the park. You can use the wheel in conjunction with the accompanying app or without it. The app provides features such as ride mapping, distance tracking, and speed tracking. Protect your bike with the most powerful bike lock available. This is a smart bike lock that keeps your bike safe in several different ways. 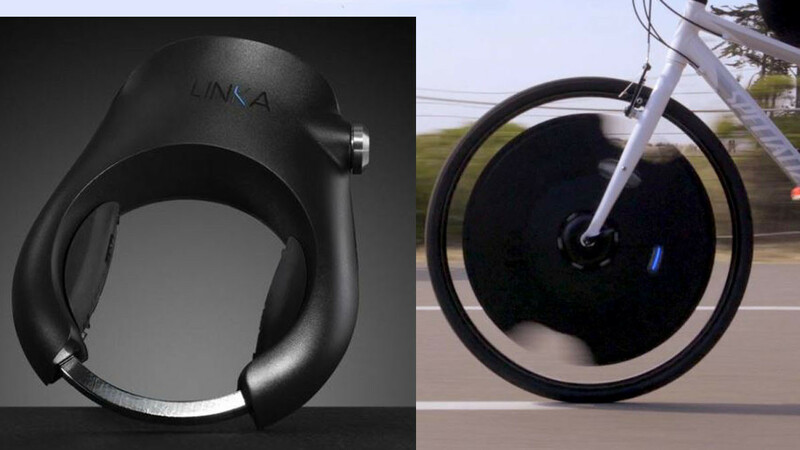 Use it in conjunction with the LINKA app to receive instant alerts whenever someone messes with your bike. You can also use the accompanying app to track the location of your bike anywhere in the world. Never worry about where the key is because this lock is keyless. It detects you via your smartphone when you are close and unlocks automatically. You can also turn this feature off and unlock it with a code via the app. Having a drink close by is important when you are exercising or out in the heat. This bottle cage is designed to attach your drink bottle to your bike in a convenient position. You will not need to waste time digging around in your backpack every time you want a drink. This is a durable drink bottle holder that is made of heat treated alloy. It is designed to hold a standard 26oz water bottle securely and it is easy to install. Capture everything that is going on around you as you ride. This is a great idea if you are riding in an area with spectacular scenery. You may not be able to fully enjoy the scenery when you are riding but with the GoPro you will be able to look at it later. This is the perfect camera to use while you are riding because it features shake correction. Your captures will not be ruined because you are moving. GoPro is a world-renowned camera brand known for capturing amazing videos and images. Having fun on your bicycle is great but you will also want to be safe while doing it. These cycling gloves feature a built-in light up turn signal. This is a cool gadget for cyclists because it enhances rider safety at night. Other types of turn signals are available but most require some kind of installation. These gloves are fully machine washable. The electronics will not be harmed during the wash cycle. If your bicycle has an issue while you are away from home then this tool will be very handy. It is a multi-tool that has been specially designed for cyclists. The tool performs many different functions so if you need to do a quick repair you will have every tool that you need.